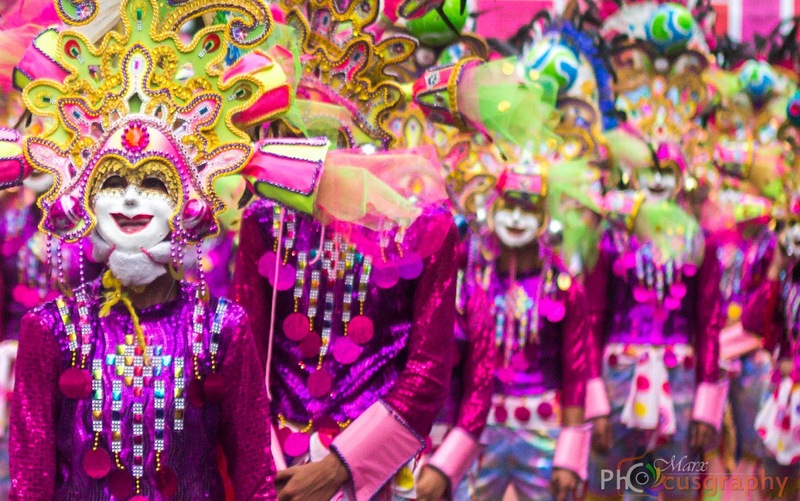 The Masskara Festival is held each year during the 3rd week of October in Bacolod City, known for being a relatively friendly city and it bears the nickname "City of Smiles". 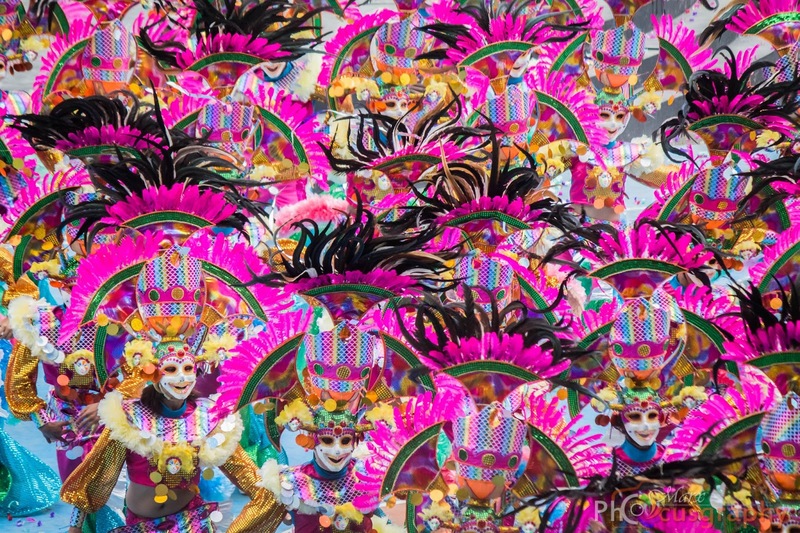 The word "Masskara" was coined by the late AAB president Ely Santiago from the two words "mass" which means "many or a multitude of the people" and the Spanish "kara" meaning "face", thus means a multitude of smiling faces. 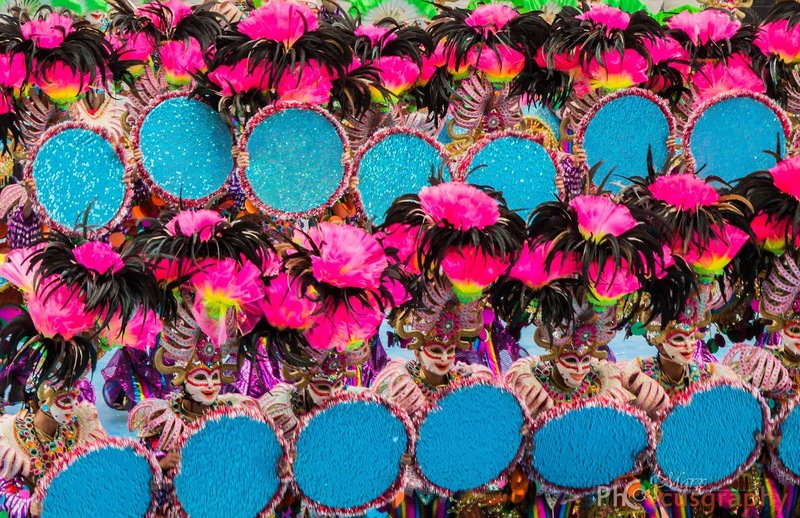 A smiling mask created by the organizers to dramatize the Negrenses happy spirit. 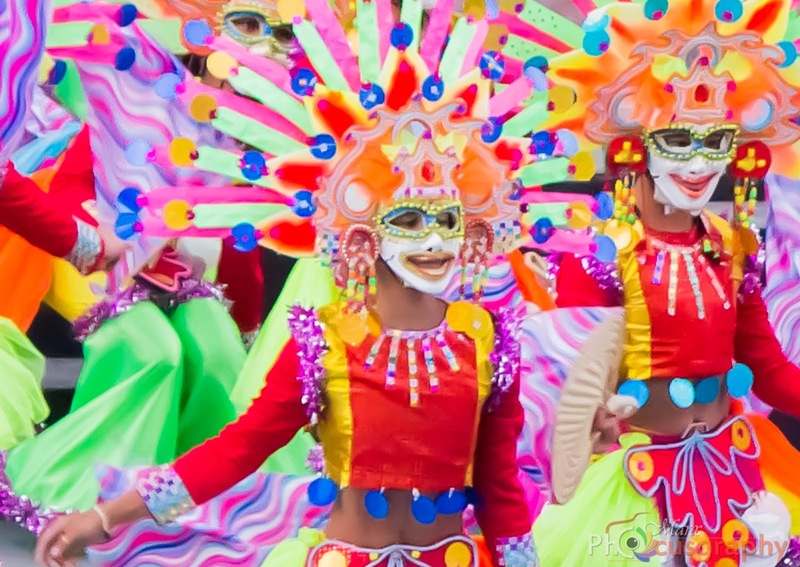 Like any other Festivals they also have Masskara Street Dance Competition, competing different Barangays in Bacolod City with their colorful masked dancers gyrate to the infectious rhythm to the Latin musical beat in an astonishing display of proficiency, array, coordination and stamina. Some highlights of their Festivals are the beauty pageant, drum and bugle corps competitions, sports events, food festivals, carnivals, musical concert and electric masskara (so sad :( I was not able to witness their electric masskara) better luck next time :). Me in the crowd, great experience indeed. I really enjoyed the Festival and I would like to say thank you/we (Me, Neil and Jed) THANK YOU! Darwin Asuncion for providing the accommodation free of charge during our stay in Bacolod City. This is not my story, I would just like to share a story from concerned citizen/climber enthusiast that everyone should be aware of. Last Saturday, September 6, 2014, we have reserved 20 slots for the Mt. Lanaya day hike via Barangay Legaspi Trail with some friends from Luzon and Mindanao, with the aim to help promote Mt. 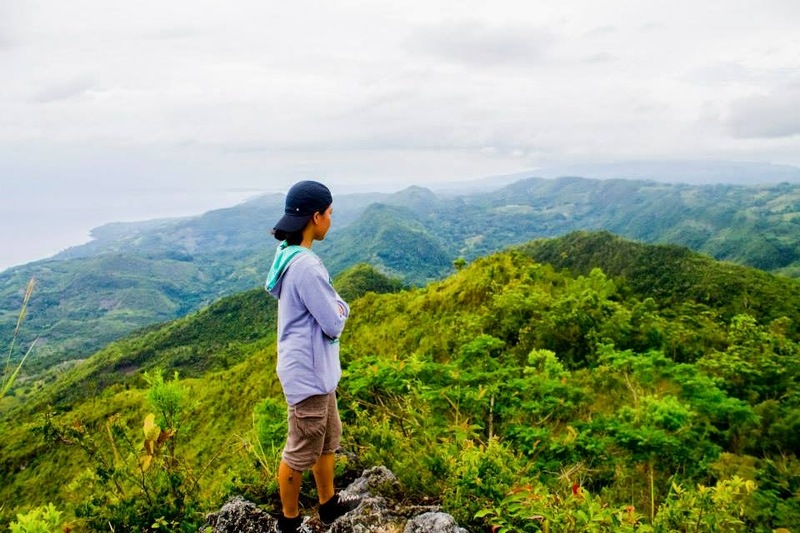 Lanaya as one of the Mountain Climbing destinations here in Cebu. Upon booking, we were not informed of any updates on the Hike fee that is being imposed by the LGU. With this, we expected that we will only be paying Php10.00 for the hike fee, just like how much we were charged before. Also, we expected that we will be assigned with some guides, expecting to pay them for only Php200.00 each – the same with what we paid few months ago. Unfortunately, we were only shocked to know that we were obliged to pay Php50.00 for the hike fee and Php500.00 for each guide, requiring us to have 1 guide for every 5 guests/hikers, upon arriving and registering our names at the Barangay Legaspi trail entry. We were required to pay Php2,850.00 for the total of 19 participants which includes the hike fee and 4 guides. Upon agreeing to pay the said amount, we asked for an official receipt; however, they only provided us with an acknowledgement receipt, saying that the Municipality is still working on an Ordinance to make things official and that they are still trying to produce the official receipts; and that these new fees has been implemented only since “last month”. At first, we were very optimistic to promote the area and help the locals. But all the inspirations expired when along the hike, we have noticed that only 1 out of the 4 guides (named Ian, who was in the head group) was able to see which trail to follow towards the peak of Lanaya. It became so annoying to us that the 3 guides who were assigned to lead the middle group and the tail group kept CALLING Ian saying lines like “Ian, huwata mi” or “Ian, asa na mo dapit?”, or “Ian, ayaw lang kaayo palayo”. Instead of hearing the sounds of nature, which is one of the purpose of climbing mountains, we were dismayed to hear such calls from the guides whom we paid to help us were not first timers in Mt. Lanaya. We were wondering why and how they became accredited guides when they do not know the trails and were even afraid to be left alone with the group; not to mention that they were almost lost in the woods, unable to find the final trail towards the peak. Worst, the guide who was with us in the head pack/group did not even bother to go back to the trail and help the rest of the guides find their way. I am writing this letter (to Department of Tourism - Region VII) NOT to scold anyone of file a complain. I just simply want to help you. I love the trails and the view of Mt. Lanaya and I am very saddened with this situation, worst to the point, that I cannot anymore suggest this trip to my friends here in Cebu nor from other places in the country. I will not do any recommendations to anyone who will ask me about Mt. Lanaya; not until you will fix this problem. And I am very much willing to help you. 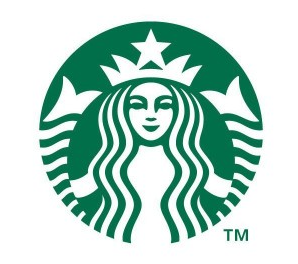 The concerned citizen was right, in order to make things better and to make Mt. 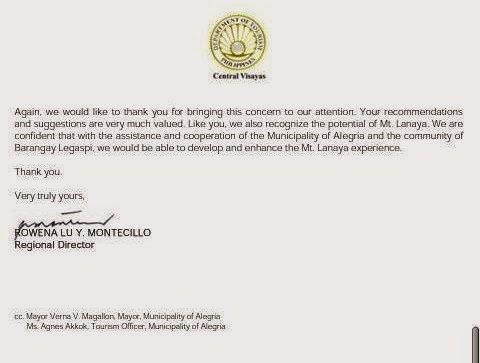 Lanaya be attractive to hikers/climbers; if the local ordinance is already approved and to be implemented, they should provide all the details to anyone and make sure that all fees, regulations, etc. 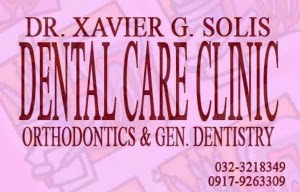 has been relayed to the inquirer and should be posted in front of the Barangay Hall of Legaspi. Official Receipts (current Official Receipt of the Municipality) must be issued as mandated by law. It is very important that all accredited guides have undergone TECHNICAL training about hiking (which includes trail and camp management, trail etiquette, etc. ), emergency response, ropemanship, sanitation (which includes proper garbage disposal), security and safety. 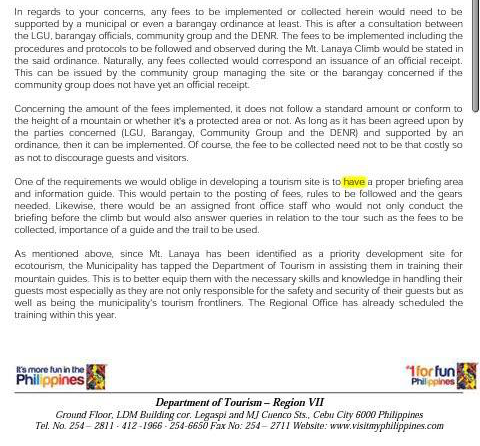 Below is the response letter (some important points) from the Department of Tourism Region – VII. Thank you Ma'am for sharing this information that everyone should know. We are hoping that the Department of Tourism - Region VII will conduct an investigation regarding this matter and hoping for a positive response as soon as possible. 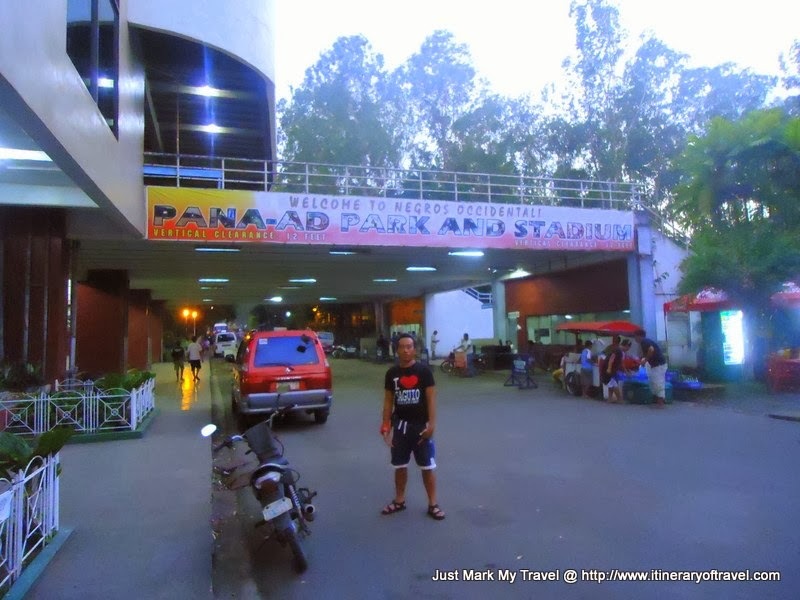 Today, I am gonna share my recent visit and bad experienced to the Town of Argao Cebu with my co-mountaineers. A week before sa among climb para sa Mt. Lantoy, Argao Cebu. Nagpa booked mi sa ilang tourism office through phone call. Niingon tong nakatubag nga naa daw 500 pesos for TOURISM FEE? tapos kami na daw mobayad sa guide namo Php500.00 each guide. Niingon ko nga one guide lang amoa kay mahal ra gyod kaayo ang 500 pesos for the guide lang nya ikaw pa mopakaon sa guide. Event Booked. 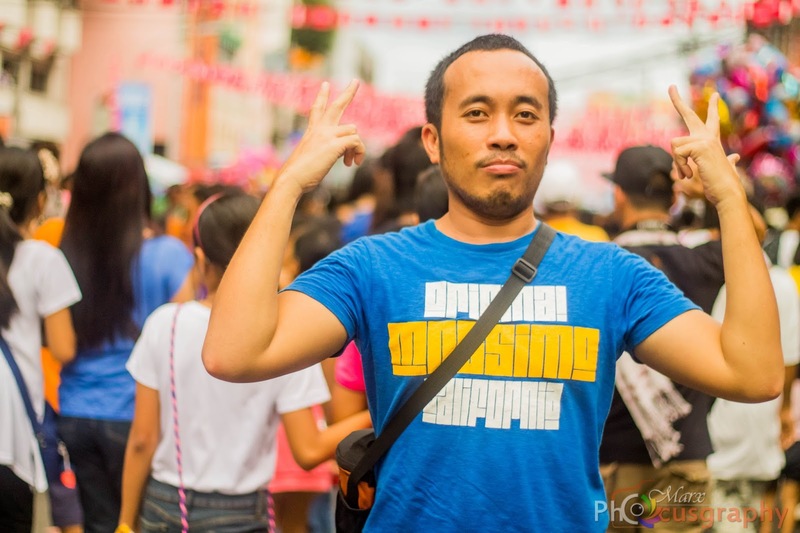 At 1PM naabot mi sa Argao diretso mi sa Tourism Office ug didto ang mo guide namo nagpa-abot. Tapos gisugat mi sa usa ka guide nga we need to have two guides from the locals there kay delikado daw ang Agta Cave and for our safety. Ni okay mi nga two guides lang for our safety. Tapos niana ang usa ka guide sa tourism nga pwede ba daw nga mosabay nalang mi sa lain nga guest (two lang sila) since we were in a SHOESTRING BUDGET nisugot lang mi kay para maka save, unom diay mi kabuok, btw. So okay na, larga nami. Walay briefing gyod nga klaro nga mao ni mao na. Pag-abot namo sa Brgy. Conalum nagpa register mi (Php20.00) no OR has been issued. We were waiting sa among guide mga 15 minutes. Pag-abot na sa among guide nagprepare na para sa Agta Cave (exploring the cave mga one hour). After caving nibalik mi sa Barangay Hall kay didto mi manukad para Mt. Lantoy. PAYMENT- pag-abot namo sa Barangay Hall, niana ang usa ka guest nga iya-iya nalang daw mi ug bayad sa guide kay half day raman daw sila so nibayad sila sa guide nga taga Tourism Office, wala nalang mi ni reklamo sa among gikasabotan para walay daghan istorya na. Mga usa jud ka oras usa mi naabot sa camping site. Dimalas kay walay tubig kay naputol ang hose gikan sa water source. Good for us kay ang guide nga nikuyog namo, naa siyay uncle didto nagpuyo so nakapangayo mi ug tubig para magamit namo sa among pagluto kay ang tubig nga among gidala not enough ra... Dinner done. Wala mi ikasulti sa among guide kay mga buotan kaayo ang guide namo. Pag-abot namo sa ilang konsehal gisingil mi sa kulang daw kay for the guide fee? so niana ko nga sir adto lang mi sa Tourism Office mohatag kay mangayo mi ug OR, so ni okay rapod siya. Pasalamat lang pod mi niya kay gipangitaan mi ug motor para among masakyan diretso sa Tourism Office. Sa paglakaw niya among gihatag ang bayad sa duha namo ka guide nga Php1,000.00. Pag-abot namo sa Tourism Office nag storyahay mi sa konsehal nga kulangan gyod daw mi ug 500 sa usa ka guide. Ingon mi ngano man magkulang mi ug usa ka guide nga two raman among guide kay kadtong sa guest naa man pod sila guide, kay kung hunahunaon sila ang mas naka save gani kay sa amoa kay ang caving lang daan need jud daw 3 ka tawo didto? 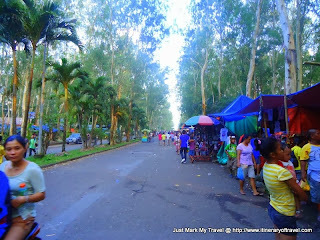 Actually, dili baya gyod ni mao ang among itinerary unta (our itinerary dapat kay from Mt. 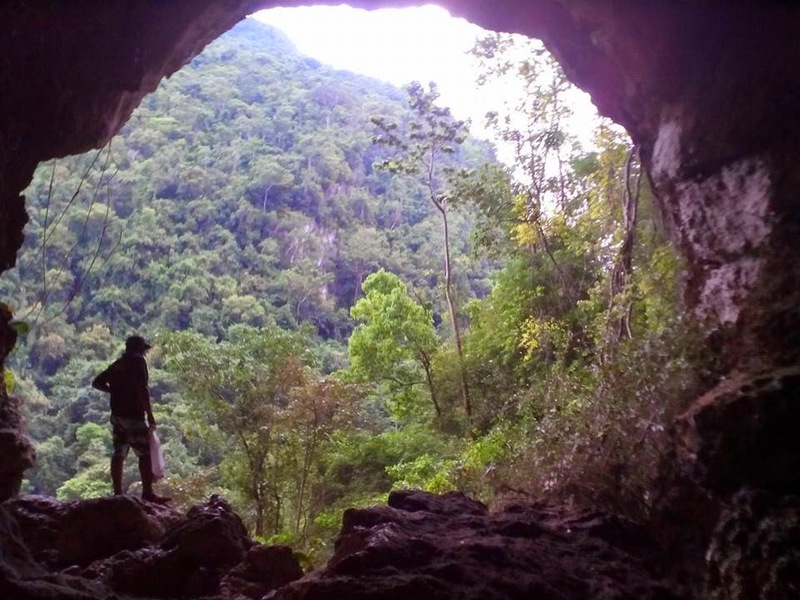 Lantoy-Caving-Bugasok Falls) kay mo diretso na gyod mi unta ug katkat pag-abot namo sa Barangay Conalum. Nalahi napod ang istorya, ingon napod siya "Murag mao na ang sa guide nga usa nga kulang" (ni insist napod mi niya kay mao man jud ingon sa taga Tourism nga naa daw mi bayad Php500.00 para sa tourism office?) so nanawag siya ug taga Tourism para ma settle mi kay wala man jud mi nihatag sa Php500.00. Hangtud nga naabot ang Admin Officer. So pag-abot sa Admin Officer nanud mi sa usa nako ka kauban sa Tourism Office nila to talk with her including ni konsehal. Ang diskusyon nagpadayon nga mao ni mao na ilang protocol nga we need to pay the guide daw. I think, sa among part wala mi sayop kay nibayad mi sa guide namo. And I quote "Okay, if you will not pay the guide then there is nothing to talk about"- admin officer. Pinakuha pa sa pitaka ug ingon dayon "Okay kuya, I will pay you 500 for them" (ug daghan pang satsat sa admin). Iya gipasuwat among mga names tapos we asked her nga para asa?unsay purpose? she told us nga for the UPDATES? lol. Pagpadung palang namo sa highway para magsakay ug bus nahibong mi nga naay ni duol namo nga nagmotor nga niana nga pabalikon daw mi, ingon mi para asa man? ang tubag basta pabalikon mo. Sus, nahibong mi naay upat ka police nga nagsunod namo. Ulaw kaayo mi kay murag unsa among sala, naglakaw nalang intawon mi nga uwaw kaayo kay ang mata sa tanan tawo diri namo nagtan-aw. Pag-abot namo sa police station, didto ang Admin officer. Mao to balik nasad ug discuss atubangan sa police. Kay dili daw mi dapat mag ingon ato kay konsehal daw to ang guide, show a little respect daw. Kay unsa diay among gibuhat? nga ang among tumong ug tuyo kay ang insakto man nga pamaagi. Igo raman niingon ang police nga MISCOMMUNICATION lang and LESSON LEARNED. Pagpanguli na namo, naa mi nasugatan nga lain group (21 sila kabuok mountaineers) gipadakop kay wala niagi sa Tourism Office. Sa tibuok nako nga kinabuhi karon pako nakasud sa police station. Sa akong experience sa Argao dili ko makalimot aning hitaboa ug dili nako mobalik sa Argao. Sa Admin Officer sa Argao - as tourism officer dapat kabalo ka unsay mga kalihokan sud sa inyong office ug dapat maminaw ka sa among concerns (dili kay daghan paka ug yawyaw), ang among gusto kay ang insaktong pamaagi, ayaw pag ingon nga wala namo gi respeto ang barangay konsehal? tapos giingnan pami nimo/ninyo nga Arrogant mi? unsa nga pagka ARROGANT? amo lang gi fight kong unsay sakto ug dili insakto. Klaroha na ang PROTOCOL ninyo, dili mo magpataka nga naa mi bayranan sa TOURISM OFFICE nga Php500.00? Dapat tarungon ninyo ang mo bisita sa inyong lugar para ganahan pod mag magbalik2x. Abi nimo ma'am daghan nami na adtuan nga lugar, sila paman gani ang mo offer ug sakyanan with no additional costs. Ingon paka first time ni ninyo na encounter? first time pod ni namo na encounter nga pinaka worst nga Tourism Officer. Do your job as a Tourism Officer not a Terrorism Officer. Oslob was once an unchartered territory when it comes to tourism. Visitors prefer to visit other beach destinations in Cebu, but that all changed in 2011 when tourists began flocking to see one of the world’s gentle giants – whale sharks. Whale sharks, the biggest fish in the ocean and one of the of the gentlest creatures known to mankind, can be seen and interacted in this southern town of Cebu. The southern region of Cebu is a local’s secret when it comes to tourism. Home to pristine beaches and secluded shores, yet it was just a few years ago that people began to come here all year-round specifically in Oslob. Like other coastal towns in Cebu, Oslob’s residents primary source of livelihood is fishing. Gifted with healthy marine life, people rely on fishing and in fact, fishing is their life. Reports have been said that even before the formality of whale shark watching tours in Oslob in the later part of 2011, fishermen have been feeding these whale sharks-- like their own pets. So it was natural for these local fishermen to “call” the gentle giants to the enjoyment of visitors. Donsol, Sorsogon in Luzon seemed to have been stripped of its title, “Whale Shark Capital of the Philippines”. The main advantage of whale shark watching in Oslob? It is an all-year-round experience. Unlike other whale shark watching destination in the Philippines, visitors don’t have to wait long to spot these gigantic marine creatures. In other places, there is no assurance that you can see or spot them. Sometimes, seeing them means travel or being on the water for hours. But not in Oslob, previous visitors swear how fishermen and guide seemed to have a personal relationship with these animals. The whale sharks come and not threatened to be around with humans. Whale watching tours in Oslob takes center stage in Baranggay Tan-awan. There are different kinds of encounter that can suit to all types and ages of the visitors. Mostly, visitors come in boats – in small outrigger canoe locally known as banca. With safe life vests, guests can watch the whale sharks from the boat. Visitors can also feel free to jump into the water and swim with them. Snorkel for a deeper look to these gigantic marine animals! The experience is surreal and beyond words. Whale sharks come in different sizes as well. 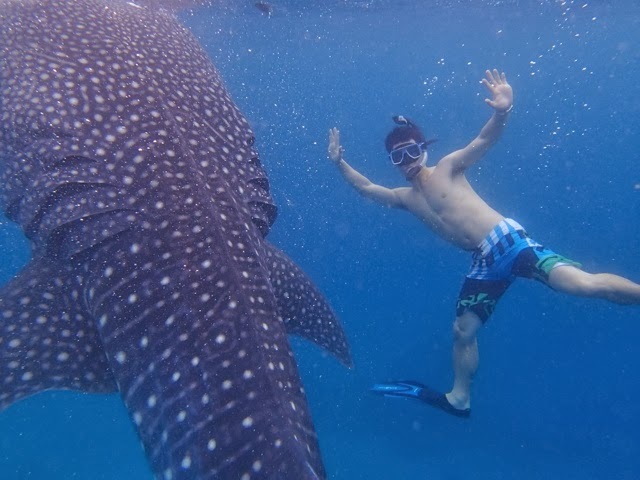 Enjoy whale shark watching tours in Oslob as part of your southern Cebu trip. To maximize your time in the south, book your holidays in one of the neighboring resorts like those in Alcoy like Divepoint Alcoy. 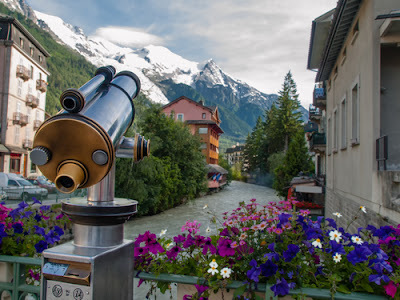 These resorts have modern facilities to take you to these nature-inspired activities and have amenities to make your vacation truly relaxing and comfortable. Seeing and interacting with the whale sharks should not be missed when coming to Cebu. This activity is one thing that draws visitors to come to the Philippines – one memorable and unique travel experience. This post is written by Edgar M., he is a freelance travel agent and online marketing consultant of Divepoint Alcoy Resort. A place for adventurers and waiting to be discovered by the rest of the traveling community, the southern coast of Cebu has created one of the stunning coastlines of white sand beaches, coves, cliffs and inviting clear water. Not to mention is the lively fisherfolk communities that make these areas more authentic. Beaches in the southern towns of Cebu are mostly free from rowdy tourists and still “natural”, free from modern and commercialism of local tourism. It is in these beaches that you will feel that you own the beach – even if it is a public beach. For those who want to experience beach bumming or beach hopping in the southern part of Cebu, here are five of the best beaches in Cebu’s southern region. 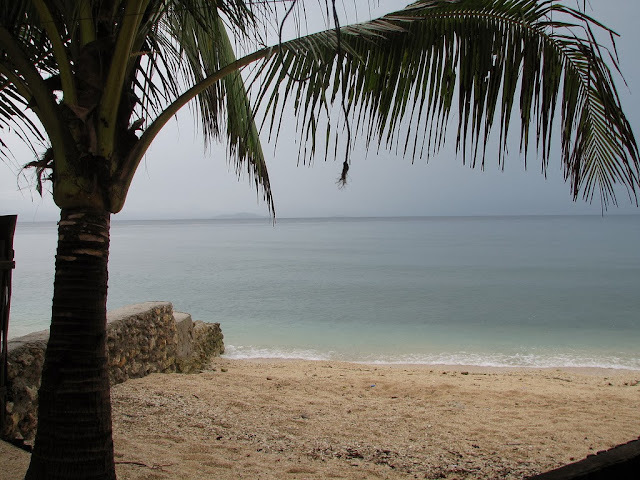 Alcoy’s main beach, Tingko Beach is the closest to Cebu City and great for those who want to experience the stunning beaches of the south without traveling too far. The main attraction of the town, it remains very laidback offering relaxing beach getaways for visitors. This beach in Alcoy is noted for its clear water and longer white-sand shoreline accentuated with big limestone boulders. 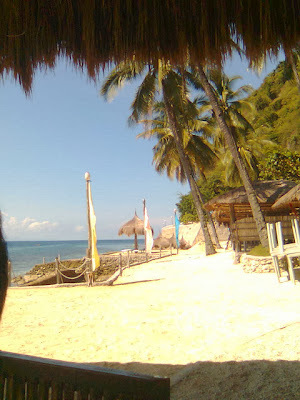 Alcoy’s beach is also a nice base camp for divers from resorts like Dive Point Alcoy. Moalbaoal is synonymous with diving but many visit this southern town for its beaches. As the name suggest, this is a white-sand beach. The shoreline is wider and longer, accommodating even large volumes of tourists during weekends and holidays. Like the rest of the great beaches along southern Cebu, its clear water lures beachgoers to White Beach in Moalboal. Badian has long been famous for its falls, Kawasan Falls but after decades of promoting local tourism, visitors discover more and more about this wonderful town in southern Cebu. Aside from falls, visitors can spend their time along the beaches of Badian and one of these is Lambug Beach. 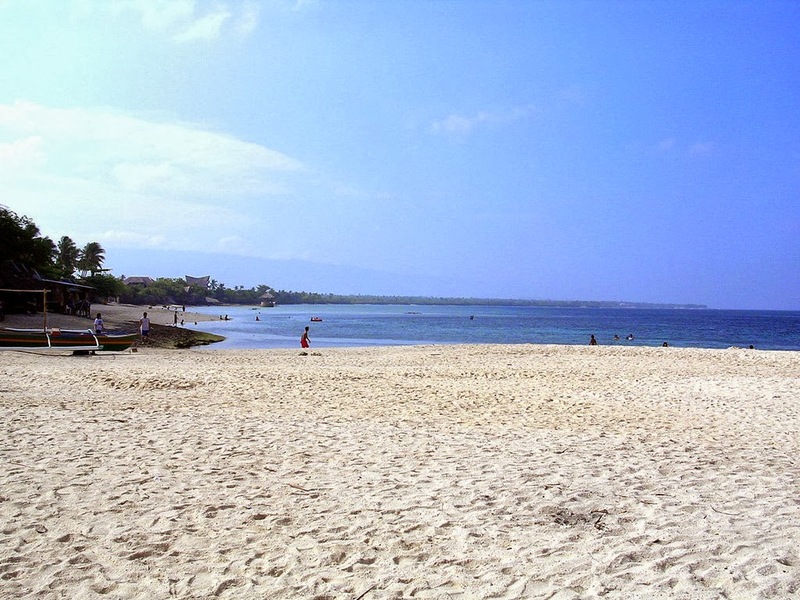 White-sand stretching far enough for beachgoers to enjoy the shores that is totally unspoiled. It has enough space for campers to put up their tent or enjoy the sun and sand on a beautiful day. For those who want a beach along southern Cebu that is totally untouched by commercial tourism, head off to Samboan. The beaches here are small but will mark an impression for its soft sand, clear water and totally zero crowd. With its public beaches, you can just enjoy the beach with locals busy with their fishing. If you prefer to enjoy the beautiful shores of southern Cebu with complete amenities and facilities, plan your trip to Boljoon. A historically rich seaside town, Boljoon has many beaches - long stretches to secluded coves. Boljoon has one of the many resorts in southern Cebu offering visitors choices, which are mostly budget-friendly. The town is just 30 minutes away from the famous Oslob whale shark watching. 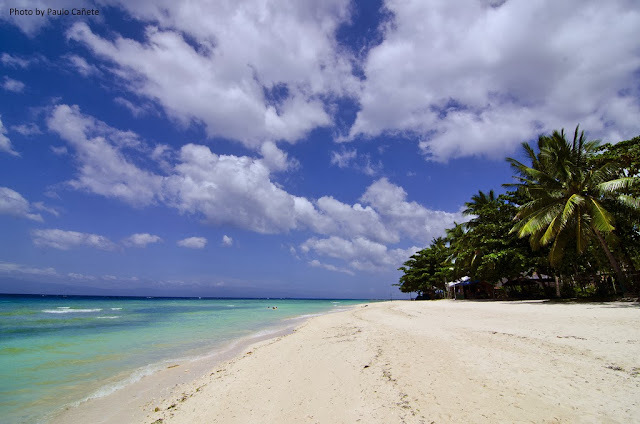 If you want to enjoy the real beauty of Cebu’s beaches, look them in the southern region of the island. It is here where you can find the most stunning beaches that are not as crowded compered to other beaches while others are completely considered a local’s “secret”. 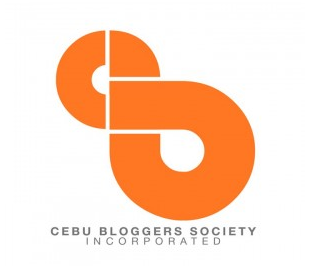 The only Award giving body for BLOGGERS in Cebu since 2008 (Best Cebu Blogs Awards) will hold it's 6th Awards Night on December 7, 2013 at Avalon Building, Cebu Business Park, Cebu City. 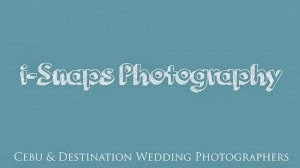 I am glad to share that itineraryoftravel.com has been chosen as one of the FINALISTS (Travel Blog Niche). To those who trusted and voted itineraryoftravel.com, you've boosted my confidence and inspired me to continue sharing newsworthy travel information. For all the undying sponsors, you give us reasons to always do better in what we do. 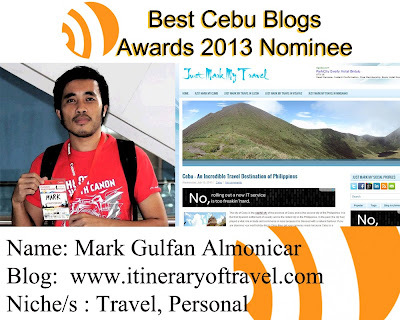 Thank you to all the juries who helped the team to pick the award for BEST CEBU BLOGS 2013 from different niches like Food, Fashion, Photo, Travel, Technology, Personal and Entertainment. 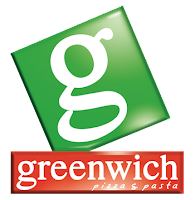 A huge THANKS to our great sponsors of your gracious and unwavering support for BEST CEBU BLOGS Awards 2013. The panaad stadium was built on August 1997 to April 1998 and it was expanded in 2007, 2010 and 2011 inorder to accommodate thousands of people. 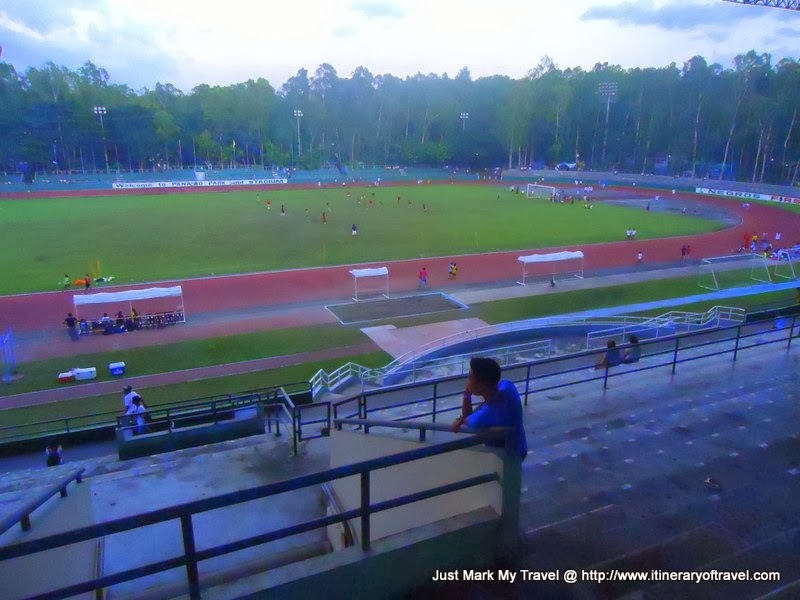 This stadium is owned and managed by Provincial Government of Negros Occidental. The Stadium has a seating capacity of 34,900 for regular seats and 40,000 people with standing areas. The panaad stadium is located inside the Panaad Park and Sports Complex in Mansilingan, Bacolod City. This stadium is not only for the football league but all athletic games can be done here. It also boasts of its olympic size swimming pool, rubberized track field just like in Cebu City Sports Complex in Abellana that made such a positive difference in Cebuanos lives. The 2005 Football Southeast Asian Games was held at the Panaad Stadium and was later the venue of the qualifiers of the 2007 ASEAN Football Championship and participated by Timor Leste, Brunei, Cambodia, Laos and Philippines. 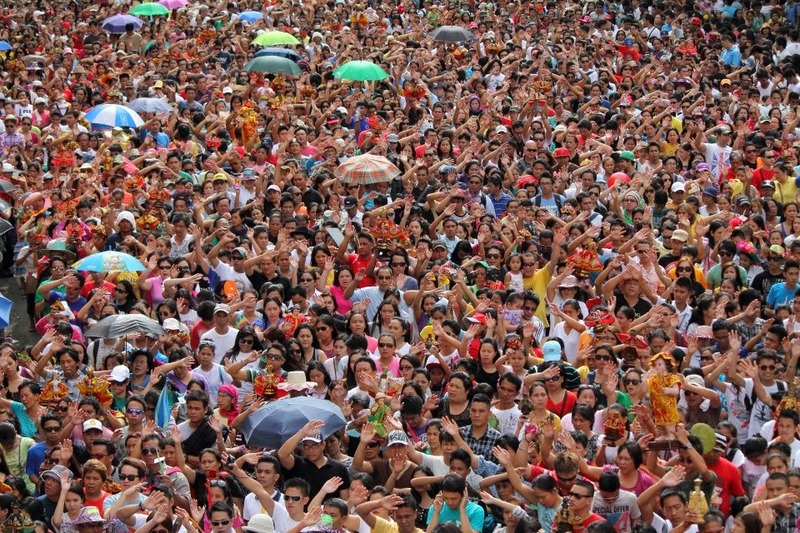 The stadium is the venue of the annual Panaad sa Negros Festival, a week long celebration participated in by all cities and municipalities in the province. 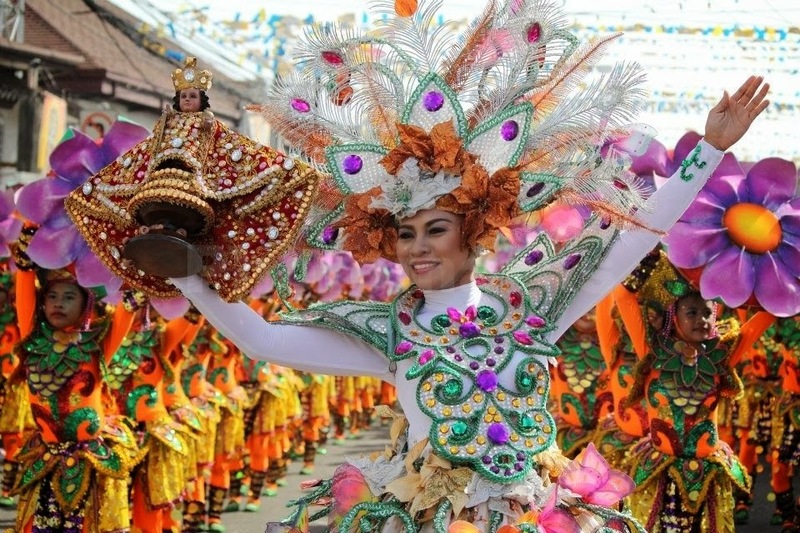 Considered as the biggest festival of Negros Occidental, dubbed as the “Mother of all Festivals. The festival was started in 1993. 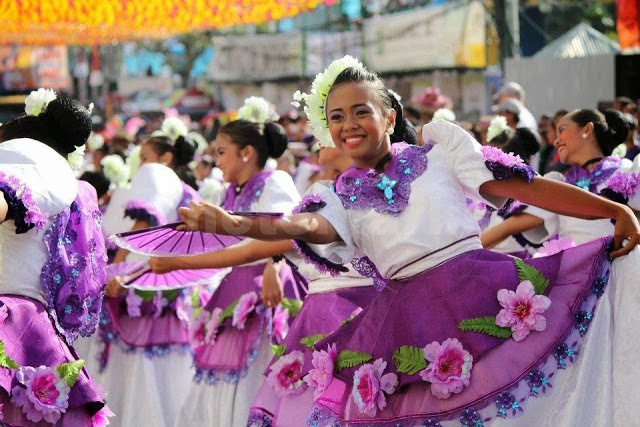 This festival brings together 13 cities and 19 municipalities of Negros Occidental to showcase their, culture, history, agriculture, tourism, trade and other industries of Negros Occidental. The city of Cebu is the capital city of the province of Cebu and is the second city of the Philippines. 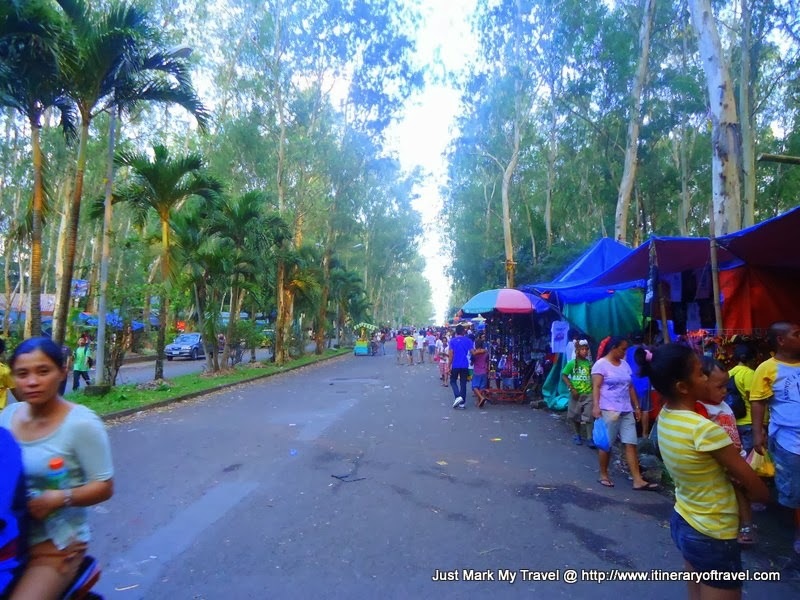 It is the first Spanish settlement of country and is the oldest city in the Philippines. In the past, the city had played a vital role in trade and commerce in Asia because it is blessed with a natural harbour. If you are planning your next holiday trip to Cebu then get your cameras ready because Cebu is a kaleidoscope of varying cultures, lifestyle where east meets west. It is a city of elegance and style, a seamless fusion of things both traditional and modern. The great cultural diversity, marine life and people are among the top reasons that compel visitors to select this destination which is fondly referred as “Queen City of the South”. Cebu has a lot of cultural history as compared to other parts of country. On a visit to Cebu one can get a chance to visit its various museums that depict the glorious past of not only the city itself but the whole country. The monuments, churches and houses are as old as the city itself. A visit to Cebu is like turning the pages of bygone era that will surely touch your heart. ”. Make a plan and fly to Cebu, a city which is influenced by various cultures and lifestyles but has its own unique charm that remains unaffected with the passage of time. The city of Cebu is festooned with numerous gems but there are few major attractions that you must not skip at all. Colon Street:-It is among the oldest streets in country which is built during Spanish settlement in 16th century. It was once the heart of Cebu city and its main business and shopping center. The city was named after Christopher Columbus which is Cristobal Colon in Spanish. Imperial Palace Water Park:- If you want to enjoy beach site activities and thrill of water rides then it is the best place for you. Designed for all ages the resort has fun-filled thrilling rides as well as great accommodation experience. Located at Mactan Island just few minutes away from Mactan International Airport, it offers an ultimate holiday experience to its visitors. Visit Magellan’s Cross:-It is one of the key landmarks of Cebu city. The original version of this cross was erected by Ferdinand Magellan himself where Rajah Humabon, the ruler of Cebu and his followers were converted to Christianity in 1521. The existing cross was built in 1845 and actually incorporates remnants of original cross. Dazzling marine life:- The city has a natural harbour and is thus blessed with inviting blue waters full of vividly colored corals reefs and aquatic creatures. It is blessed with some of the best scuba diving and snorkeling destinations such as Mactan Island, Moalboal, Malapascua and Sunken Island that offer world class experience to its visitors. Cebu Taoist Temple:-Taoist Temple is among the popular attractions of city. Taoist temple is a towering temple elevated by 300 meters above the sea level is located in Beverly Hills subdivision. Its entrance is a replica the Great Wall of China and the structure was constructed by local Chinese community. To enjoy all this serenity and cultural diversity just book business class flights to Cebu and give a flying start to your journey. 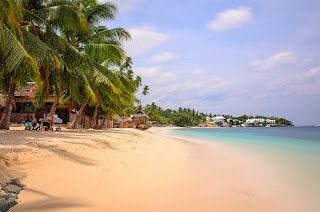 Beaches of Bantayan Island:- Bantayan is one of Cebu’s must visit attractions. 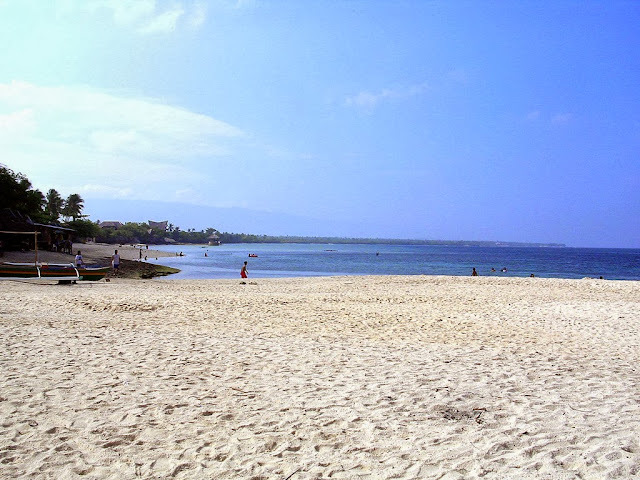 It is famous for its white powdery sand, crystal clear water along with tantalizing seafood. It is an amazing place to enjoy a perfect day trip to enjoy beach site activities. 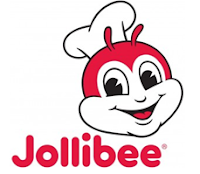 Mouthwatering food:- Filipinos love food and Cebu is no exception. No visit to Cebu would be complete without pampering your taste buds with amazing seafood meal and Sutukil. Pick what you want yourself and have it cooked your ways. Manila could be ideal destination for those who have love for big city. The capital of Philippines is second name of frenetic pace, shop till drop options, drool inducing dining joints and numerous colonial buildings. With 12 million people, the city offers a great diversity which attracts wanderers towards the city. The city is a great destination in itself but not as dazzling as its Asian rivals like Bangkok and Singapore. With impressive colonial history, magnificent architecture and jovial population, the city provides enough reasons to keep demand for Manila flights soaring. 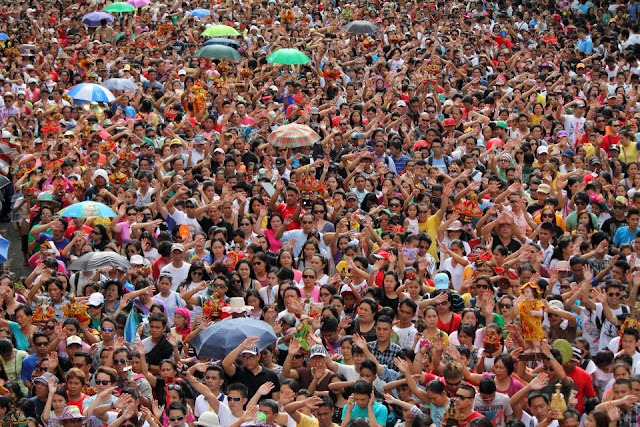 Here we are listing a number of things to do in Manila. If you want to explore city differently, then you should take a look on its history and you will find the whole experience interesting. Visit the colonial buildings, explore China Town or see the historical artefacts at National Museum. Every experience is enriching and unique to the core. You may have visited various music shows and festivals but brace for music of a different kind. Visit Saint Joseph Church and get entertained by music of only bamboo organ in the world. This nineteenth century church organ is made up of bamboo. The bamboo organ is declared a National Cultural Treasure and now attracting tourists from different corners of the world. Metro Manila is also a shoppers’ paradise as tourists can find designer labels from around the world here. The city is replete with designer boutiques which are often raided by shop-till-drop brigade. 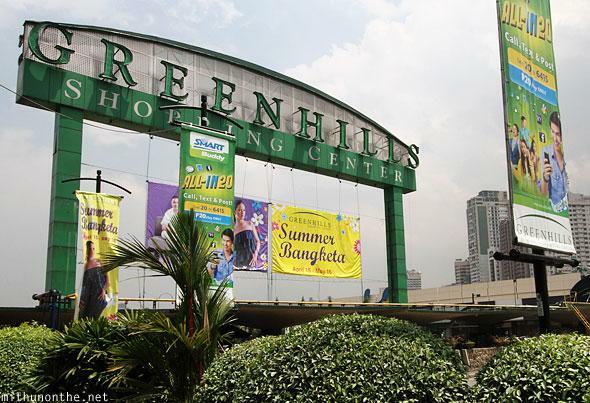 Greenhills is the shoppers’ hubs but it is also very crowded. We suggest you to go to Mandaluyong where you can shop at Malls like SM Megamall, Shangri-La Plaza, and The Podium that offers an array of local and international brands. There are hotels and accommodations in the surrounding so if you are tired off shopping you can retire in your cosy hotel rooms. 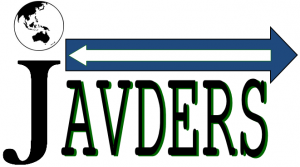 Not ready to wander through the streets? No problem, take another route. 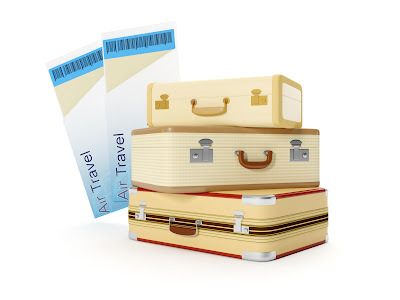 Just book a room in hotel in Muntinlupa and stay there. The place is far from hustle and bustle of the city, but it is still in the city. Why not give it a try? Want to pamper yourself? Pave your way to Makati where you can have dinner at scrumptious dining options and relax at bars and lounges. With so many things to do and so many options to explore, the Filipino national capital is an ideal place for vacation. If you are postponing your Manila trip due to budget constraints then book a cheap flight to Manila from Birmingham and arrive this city that amazes tourist with variety. This is a guest post from Rampants. 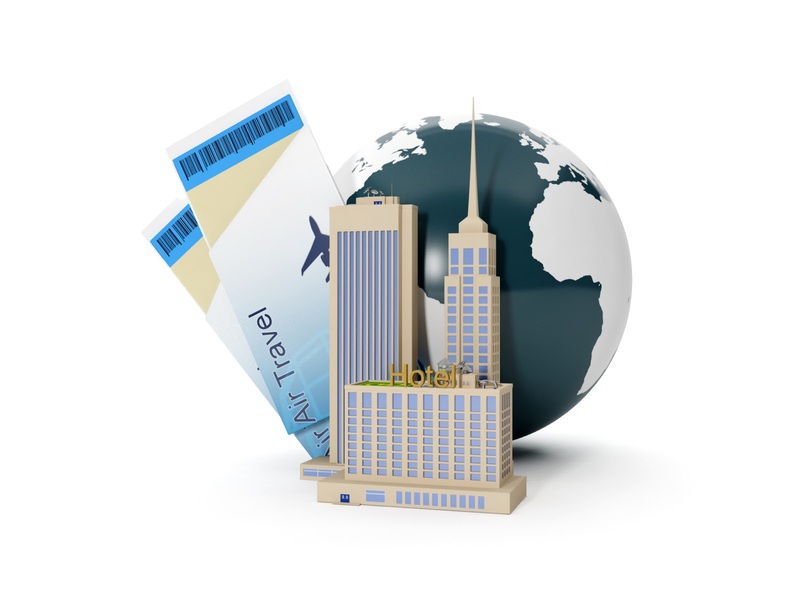 Try and get as much knowledge of the destination you're going to travel to before you arrive there. You want to have an idea of the things you want to do rather than finally getting to the hotel and feeling lost and bored. You can also ask hotel employees and locals where good places to check out are. This author is a writer and content producer for Cru Chalets Chamonix, offering five star chamonix accommodation. Our chalets are perfect for summer and winter activities for all the family.